Phantom helps you work smarter. With their system, repetitive tasks become automated, multiplying your team's capabilities. Free yourself to focus attention on mission-critical decisions. Reduce dwell times with automated detection and investigation. Reduce response times with playbooks executed at machine speed. Automatically correlate analytics from ExtraHop Reveal(x) with Phantom's security orchestration. Shave days off your investigation process. Let Reveal(x) detect ransomware, lateral movement, and low-and-slow threats, then hand the baton off to Phantom for an automated assist on your threat hunting expedition. Reveal(x) adds rich, contextual security analytics to Phantom&apos;s intelligent orchestration by automatically detecting anomalies and sending event details directly to the Phantom platform to trigger a Phantom playbook. This further automates the response process and reduces the manual burden on enterprise security operations teams. [The] partnership with Phantom helps make Reveal(x) even more useful for incident response and remediation use cases … it further automates the response process and reduces the manual burden on enterprise security operations teams. Active threats have no choice but to reveal themselves as they use the network to locate valuable devices or databases, stockpile stolen data, and transmit sensitive information to external web domains. 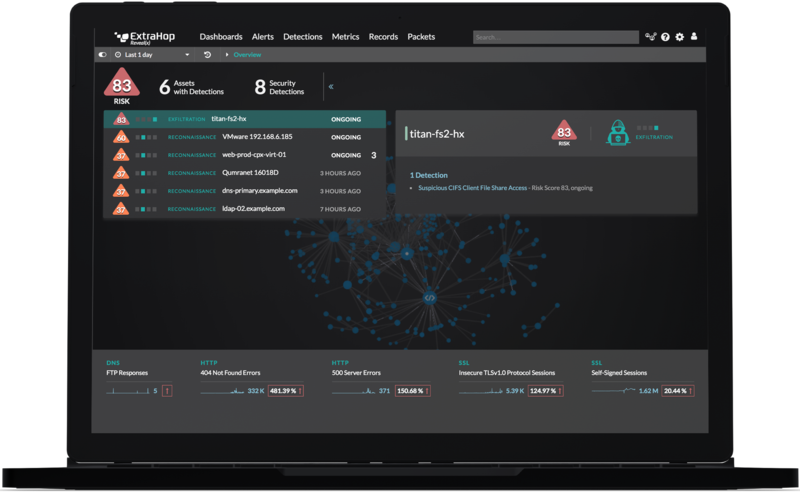 With east-west visibility and behavioral analytics from ExtraHop Reveal(x) plus response automation from Phantom, you&apos;ll know more than what&apos;s going on — you&apos;ll know how to stop it. Don&apos;t take our word for it. As 451 explains, network security analytics platforms such as Reveal(x) are critical for rapid threat detection and response. That&apos;s because they allow analysts to respond to threats as soon as attackers give themselves away, instead of struggling to piece together insights from logs. Read 451&apos;s report to learn where ExtraHop Reveal(x) goes above and beyond, and why our integration with Phantom plays a key role in arming security teams for victory.